This post is my response to Richard Murphy of Tax Research UK’s challenge to come up with a dream cabinet. I do not quite have a full cabinet here but I do have names, positions and explanations and/ or justifications for all my choices. I will start by listing the names and positions, and will then go into a little more detail in the next section about my reasons. We now move on to the the…. Debbie Abrahams has impressed me ever since she entered the shadow cabinet to the extent that I was determined to put her in a top position, and in the end I opted for the top position for her. Another who has been consistently impressive since her promotion to the front bench. From what I read of her performance on Question time when she had to contend with three very right wing fellow panelists, a Liberal Democrat and the mloderator, Mr Arch-Establishment Dimbleby (I was not able to watch for myself as I refuse to let the BBC have any of my money) she seems to have done a fine job of further underlining her credentials. We need his kind of economic vision as a matter of urgency, and how better to get it and than have the man himself as chancellor of the exchequer. Editor of The Canary and author of many splendid articles. I am sufficiently impressed by what I have seen of her that I have no doubts about putting her straight into one of the four so-called “great offices of state”. He was always going to feature somewhere in my dream cabinet, and I have decided that this is the right role for him. Someone else who has said a lot of the right things since joining the front bench. The Labour Party candidate for Northwest Norfolk (my constituency) at the last general election, active in many roles and a passionate supporter of the NHS. Exactly the right kind of person to take on the formidable task of repairing the ruin caused by the likes of Lansley and Hunt. I want environmental policy in the hands of someone who is committed to protecting the environment, and to me no one ticks that box more definitively than Ms Lucas. I am aware that it is always risky for selectors to pick themselves, but I believe I can justify this one. I have a lifetime’s knowledge of and commitment to public transport. Although I am creator of a London transport themed website, London would actually be at the back of the queue for attention from me is at it is less badly off transport-wise than the rest of the country. Paddy-Joe is autistic, the author of several books about autism and also writes the askpergers blog. Having decided to revive the idea of this post (see here for more details) it was a question of who to select for it. I wanted my Neurodiversity Minister to be neurodiverse themselves and in the end I went for Paddy-Joe. He would bring a lifetime’s knowledge and passionate commitment to the post. Education in this country would improve massively with Michael Rosen in this role. I do not know whether we could persuade her to come over from Sweden, but I am sure that she would be excellent in this role and would work well with her cabinet colleagues. For more details about her consult her blog. Also known by hew twitter handle – legsidelizzy. In addition to her cricket writing and commentaries she has made some very sound political points. Always assuming Scotland have not yet declared indepence, I would want Mhairi Black, who is the youngest but also one of the most impressive MPs currently in the house, in my cabinet, and this would seem the ideal role for her. I have gone for someone who is disabled and heavily involved in DPAC (Disabled People Against Cuts) for this important role. Author of a book on the history of science, a scientist herself and an impressive speaker (I have heard her give a talk here in King’s Lynn). She got the nod ahead of Brian Cox because I decided that I wanted a woman in charge of science policy. Author of the Vox Political blog, carer and very knowledgeable about the misdeeds of the DWP under the Tories he would be an excellent person to undertake the task of putting this area back on track. Like several of my other choices she has impressed ever since taking her place on the front bench, and she would be well suited to this role. Occasionally sounds too excitable for her own good, but says a lot of good things, and I believe would do them in this role. As shadow defence secretary (before being moved to shadow foreign secretary) she was quite impressive. Preservation of nature needs to be at the heart of planning decisions, not an optional (and often despised) extra. Your battle in Trosa is a battle for all of us everywhere. Starting with this one my remaining pictures are from today. Some local photographs from earlier today and some interesting links. I had expected to be blogging about the first ever NAS West Norfolk curry night at The Globe today, but the event had to be postponed due to the severe weather that affected King’s Lynn yesterday. In addition to the decision to postpone the curry night made because those who would have had to travel (as opposed to me strolling down the road) to get there did not feel safe doing so I have a couple of other little pieces of evidence to back my claim that the wind yesterday was the strongest I have experienced while living in King’s Lynn, which is a fairly windy town anyway. Firstly I had to retrieve one of the legs of my outside table from the roof of Artertons (this roof adjoins my balcony but is one storey lower, so to access it I have to descend to street level, ascend a fixed steel ladder to the Artertons roof, retrieve the item, descend the ladder and ascend the stairs to my own flat). For this to happen, the table top, which when the table is not in use I position covering the legs, had to be blown clear of the legs and then one of those legs had to be blown across the width of my outside space and down on to Artertons roof, and it has never happened before. Secondly, the 813th King’s Lynn Mart made what was in truth the only sensible decision they could have done, not to open yesterday evening on safety grounds, again a first in my time living in this part of the world. Therefore with a couple of links at the end as a bonus I am falling back on a staple of this blog, some local pictures taken today. The Nar was so calm that these modern houses were clearly reflected in its water. A tern (probably in origin an Arctic Tern. I just signed the petition, “UK Parliament: Make autistic hate crime as punishable as racism.” I think this is important. Will you sign it too? 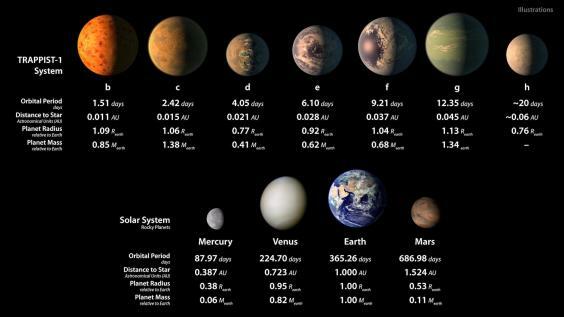 On a completely different note, courtesy of www.independent.co.uk here is a fascinating account of a new solar system in which no fewer than seven earth-like planets wouyld appear to be in the habitable zone around their star. Click on the picture below to read in full. An account of the latest display of appalling behaviour by the downright dishonourable member for Shipley and a suggestiion for how to prevent repeats. The section of this post which gives it its title is largely comprised of embedded tweets about the appalling conduct of a Tory MP today. So far Philip Davies MP has been talking for one and a half hours, trying to talk out @EilidhWhiteford Bill to protect women from violence. @SophieRunning Philip Davies MP (the landlords’ friend) showing his usual regard for human rights and parliamentary democracy. @NathanCornfiel1 @EilidhWhiteford Not on a Friday when a few sad folk gain some unfathomable satisfaction from trying to kill good bills. For a first offence a ban on speaking for 1 weeks worth of parliamentary sessions (the equivalent of being sent to the sin bin). For a third offence automatic termination of parliamentary career on ground of unfitness for office, thus triggering a by-election, and of course debarring the offender from ever standing for elected office again. This is the red card equivalent. The bowling side is required to deliver 30 overs per session (i.e 15 per hour) and at the end of each session if they have failed to achieve this their opponents will be awarded penalty runs for the unbowled overs at a rate of 10 per over or double the batting side’s scoring rate, whichever is the greater. Note the inclusion of an insurance policy to make sure that the measure is absolutely guaranteed to be properly punitive. Kirsten, one of the people who runs the Musical Keys sessions at the scout hut playing the trombone on Saturday. The remaining pictures are of cigarette card lots that I imaged for James and Sons’ March auction (all taken on Tuesday). An account of James and Sons auction, which took place on Monday, Tuesday and Wednesday of this week. On Monday, Tuesday and Wednesday of this week James and Sons had its second ever three day auction. This one had the additional twist that two different venues were being used, our own premises in Fakenham on days 1 and 2 and the Maids Head Hotel, Norwich on day 3. I caught the 7:30 bus from Lynn to Fakenham, thus arriving at James and Sons at just before 8:30AM (this bus doubles as a school bus, so follows a more circuitous route from Lynn to Fakenham than the usual X29 route and therefore takes 15 minutes longer to make the journey than a regular bus). Thus I was able to get the setup done in plenty of time, and the auction got underway at the appointed hour of 10AM. On this day stamps, postal history and first day covers were being sold. There were a couple of room bidders, and thankfully large numbers of online bidders (over 250 by the end of day 3). Although there were not many things going for big amounts of money a lot of stuff did sell, and the auction had started well. I have no pictures from day 1 of this auction, but here are some images of items that will be going under the hammer in our March auction, which will be on the 27th, 28th and 29th of that month. These first two pictures of lot 1031 in the March auction, which has an interesting story. This item is a grass sledge, designed and built by a craftsman in Sussex for use on the Downs. The remaining images here are cigarette cards photographed after day 1 of the auction finished and before I went home. Then we have close ups of some of the more interesting cards – this one is Richard Trevithick’s Pen-y-Darren (that y is pronounced roughly as a “uh” sound), the first commercially operated steam locomotive ever. Steam engine technology predates this by approximately 1800 years – Heron of Alexandria designed a steam operated device for opening temple doors. The most famous of all the very early locos – Stephenson’s rocket. This Metropolitan Railway locomotive was designed specifically for operating in tunnels. I travelled on this stock when I visited Scotland in 1993. The only other stock in this set of 30 that I have travelled on, the legendary Intercity 125. Overall this was a better day than we had expected – there were only a few quiet spots. The fact that we were in Norwich for the final day of this auction meant that the stuff had to be loaded up to be transported over there, which was done at the end of day 2. It also meant that since I was going to have be in Norwich earlier than I could get there using the X29 that I claimed £5.50 in excess travel expenses as the cost of travelling there on the First Eastern Counties X1 is £11 as opposed to £5.50 if I can use the Stagecoach X29 route. As intended I left my flat at 5:15AM and was on the 5:30 bus from King’s Lynn to Norwich, arriving at the venue at 7:30. I had my laptop with me because James and Sons were one laptop short (two working machines when we needed three). The setup was just about completed before the first viewers started turning up, and there were no issues of any sort. This item sold for a fair amount of money. The rostrum – the black machine belongs to my employer, and we ran the operator screen (my responsibility) from it, while the white machine is mine, and we ran the auctioneer screen from that. Only a few of these big stamp lots sold, although both helmets found buyers. A distant view of the main display area, and visible through the window, the wall of the Cathedral Close. The photographs from earlier today. For the record, these medallions are approximately the same size as a Queen Victoria penny. Plenty of other things did well as well. The stamps predictably enough did not fare very well, but everything else had done enough that the auction was an unequivocal success. I had considered staying on in Norwich to attend a Green Party public meeting at which Richard Murphy would be speaking, but in the end after three demanding days I was too tired to even contemplate not being home until 11PM which is what that would have meant, and so after a visit to Norwich Millennium Library I took the bus home, arriving back in my flat just after 6PM. 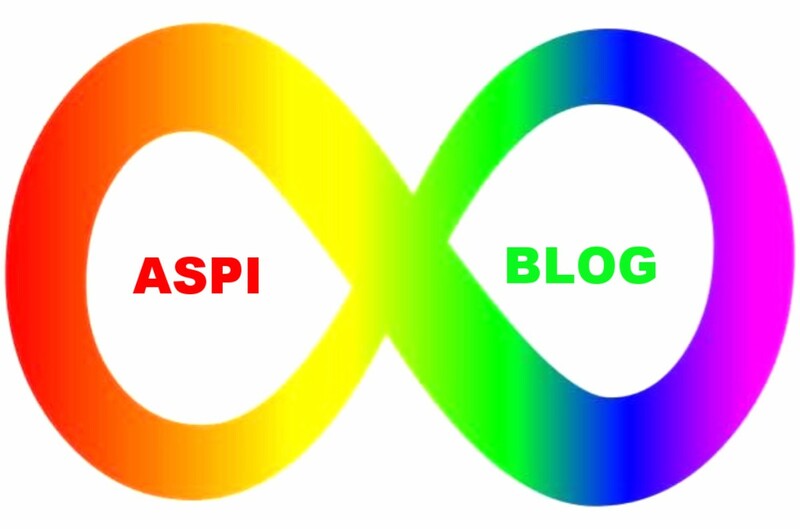 Thomas at aspiblog has a fun challenge. Design a station challenge. My imagination started to making pictures right away. I want to do a real drawing of the things I have in my head after reading the challenge post. But for now this sketch is all I had time to do today. Imagine a station were the floor is painted like the ocean so everyone feels they can walk on water, the red carpet is rolled out for everyone that chose the green way to travel for saving nature. That is the A(nna)-train at the station where people who think green travels. I want to think of this idea a little bit more. Maybe there will be more drawings on this theme. I think it’s fun. Join the challenge you too! An invitation to my followers to demonstrate their design skills. The official competition is being run by Crossrail, and is open to people aged between three and 15. I am using this blog to open an unofficial version of the competition to all my followers. People in the age range to qualify for the proper competition can visit the site here (the competition is open until Sunday). For those not eligible for the official competition you can use this post to present your ideas, either in pictures if you have the skill and inclination, or in words, or as a combination of both. If you put your thoughts into a post of your own, include the link in a comment and I am sufficiently impressed I will reblog.